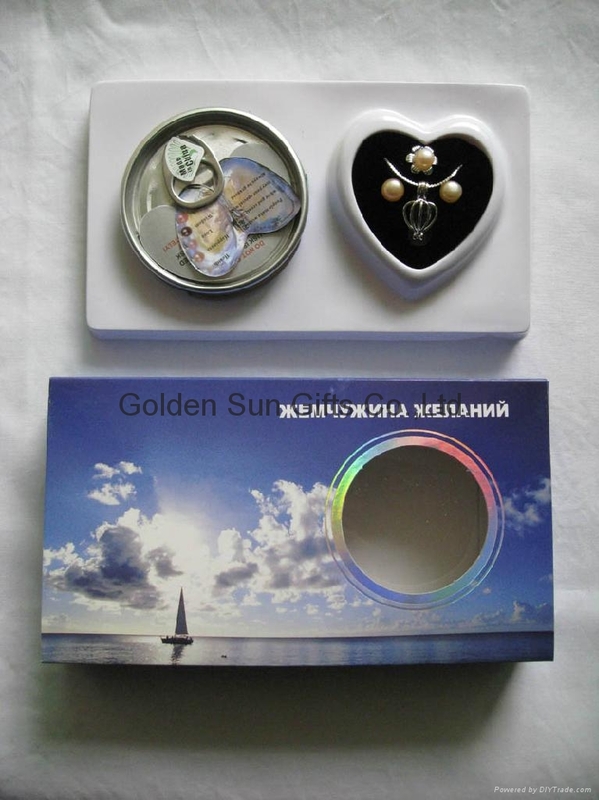 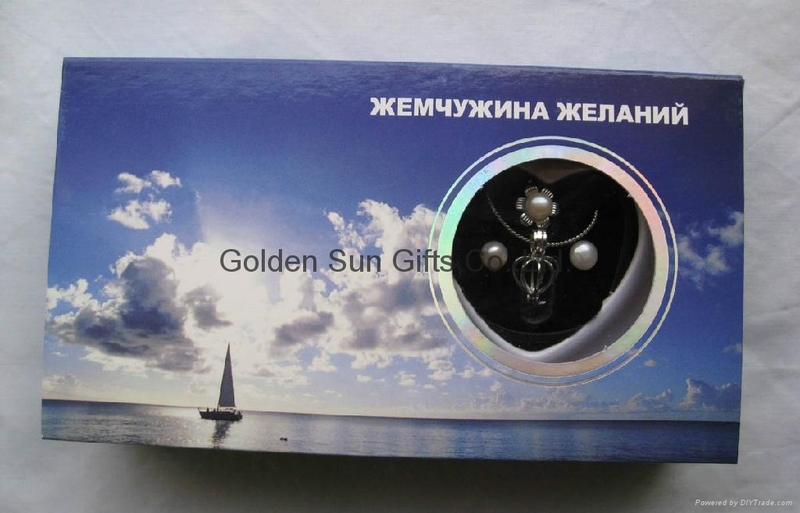 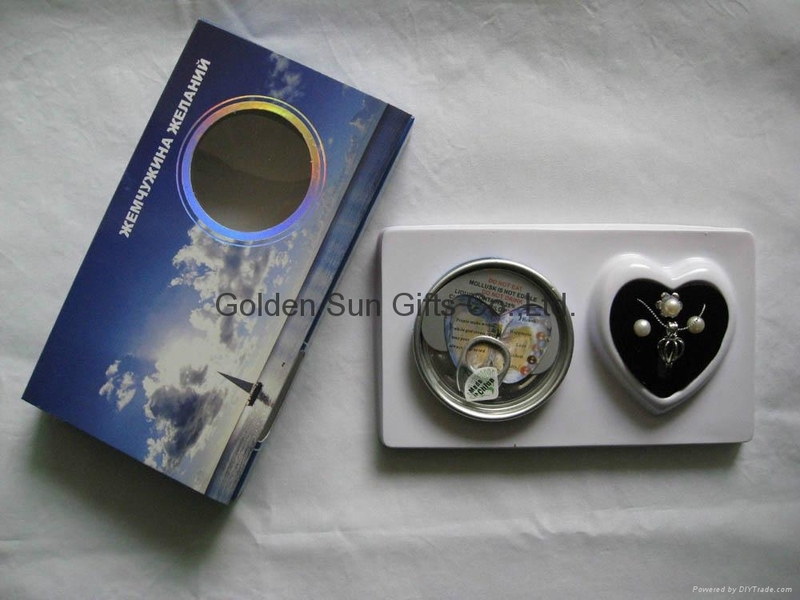 Love/Wish Pearl 3PCS Gift Sets Included:Love/Wish Pearl in Oyster,Normal Cage Pendant , 17"Copper Chain,Earring , Ring ,Color Box in Russian Version. 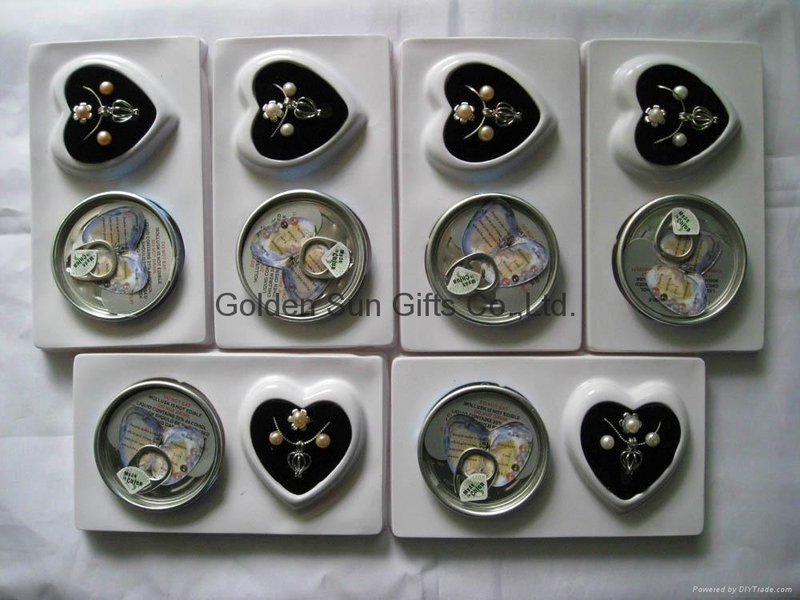 Perfect Gifts for everyone ! 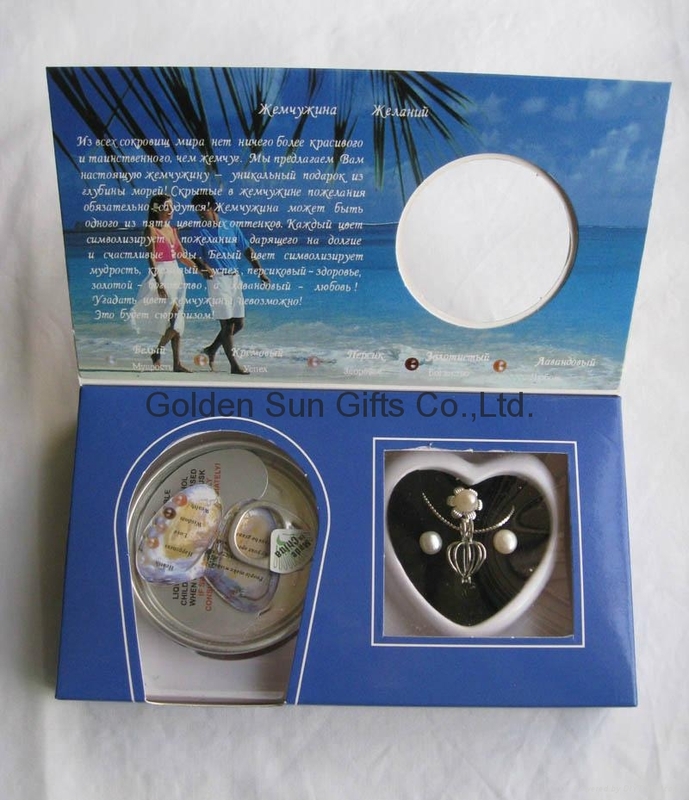 Qty/Ctn : 1 set per gift box , 24sets per inner box , 120sets per export carton.